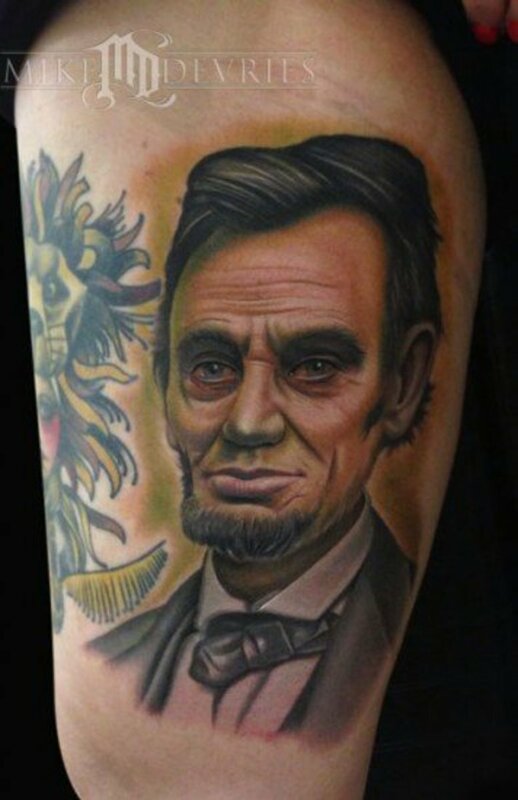 On November 19, 1863, President Abraham Lincoln opened a cemetery in Gettysburg, Pa., with what would become the most famous two-minute speech in American history, the Gettysburg Address. 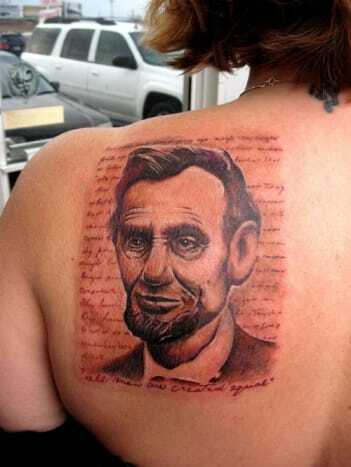 The speech that began "Four score and seven years ago" was given 150 years ago, or seven score and ten years ago using Lincoln&apos;s preferred counting method. 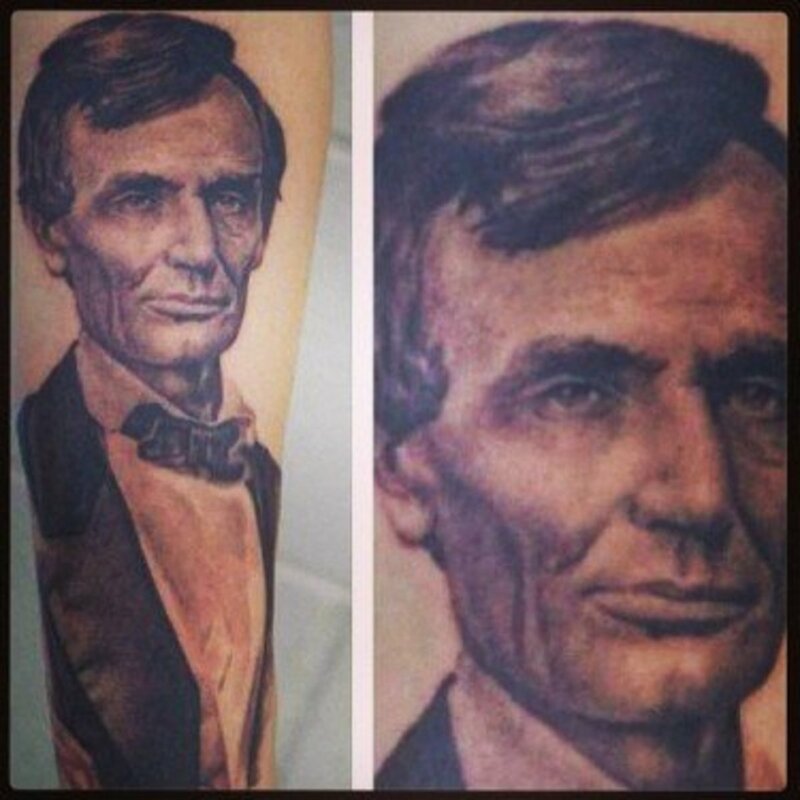 At the time the speech was met with minimal fanfare and people were surprised by it&apos;s brevity; since then it has been memorized by every American student, engraved on the Lincoln Memorial and considered by many to be the defining moment of Lincoln&apos;s presidency. 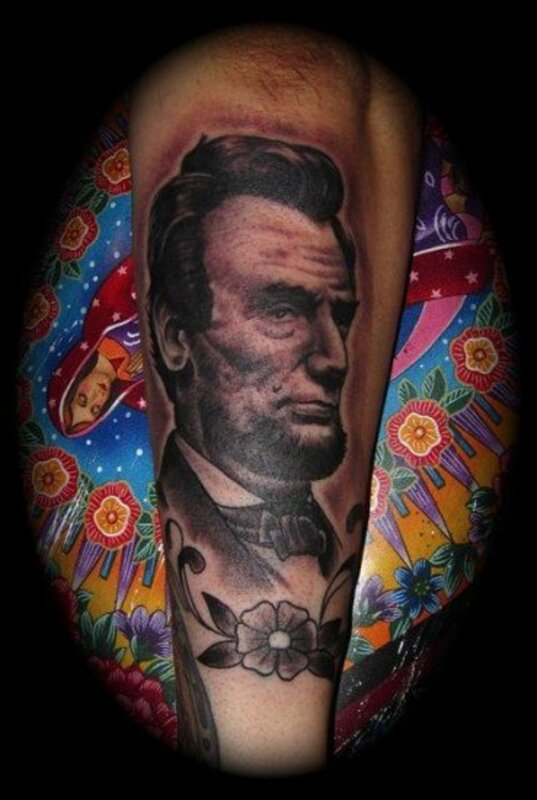 To commemorate the anniversary we found this group of tattoos paying homage to the 16th President of the United States. A portrait of Lincoln sits in front of text of the famous speech. 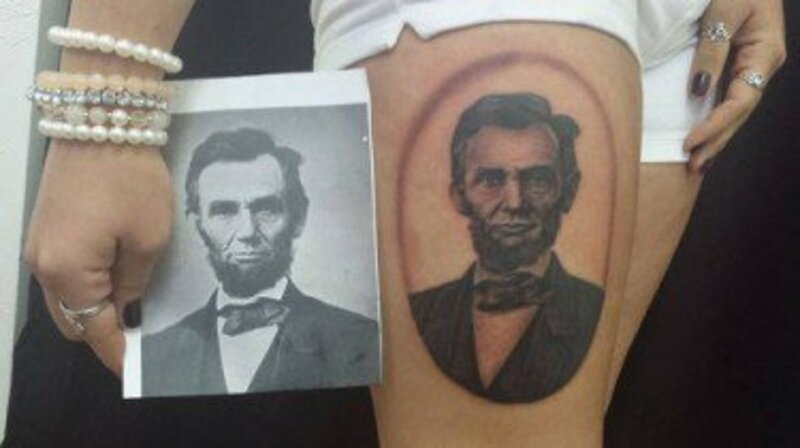 This portrait of Lincoln was taken straight from a penny. 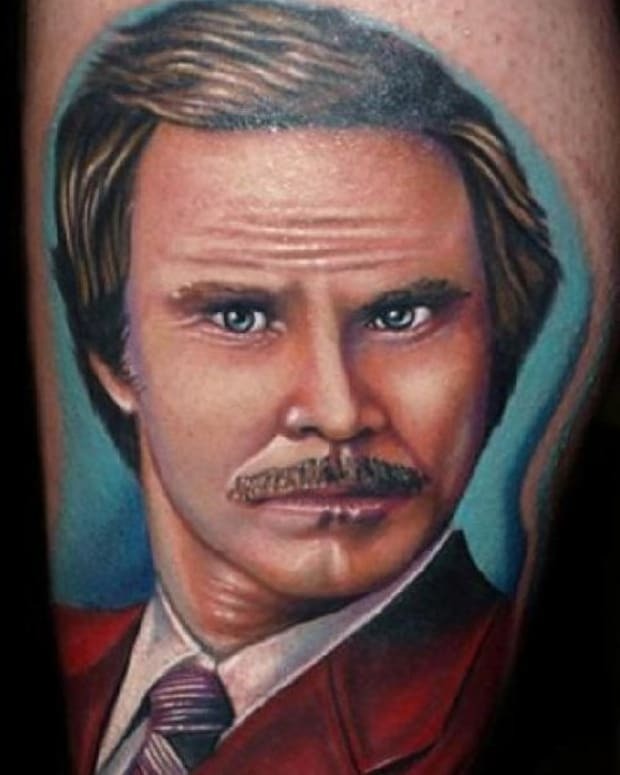 This portrait by Mike Devries shows the president in his younger years. 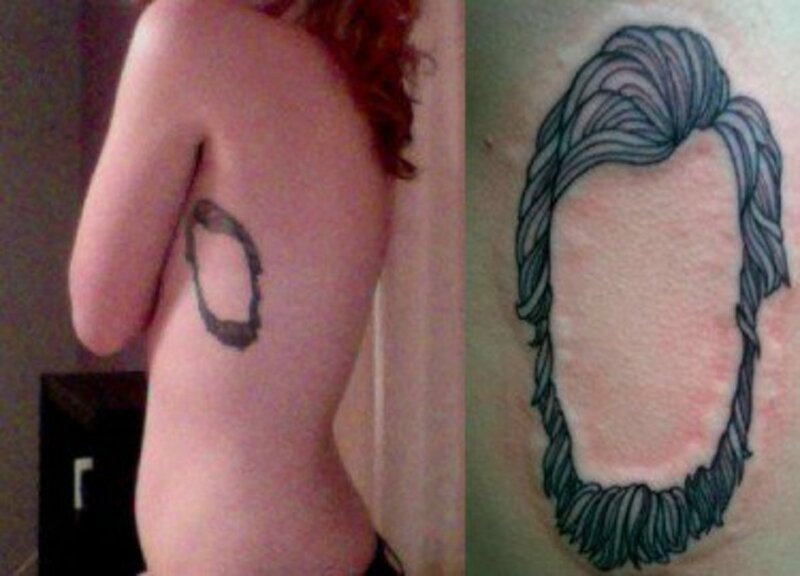 All that&apos;s really necessary to identify this as Lincoln is the iconic hairstyle and beard. 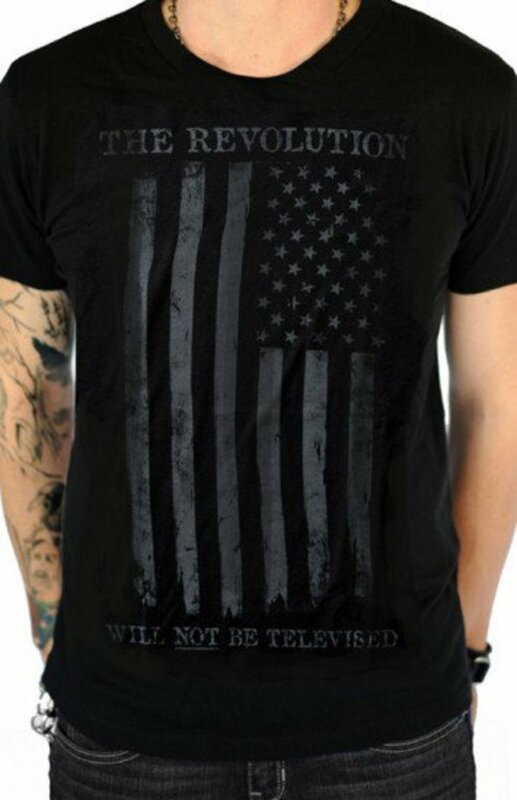 Show off your patriotism wearing this Revolution Men&apos;s Tee by Serpentine Clothing. 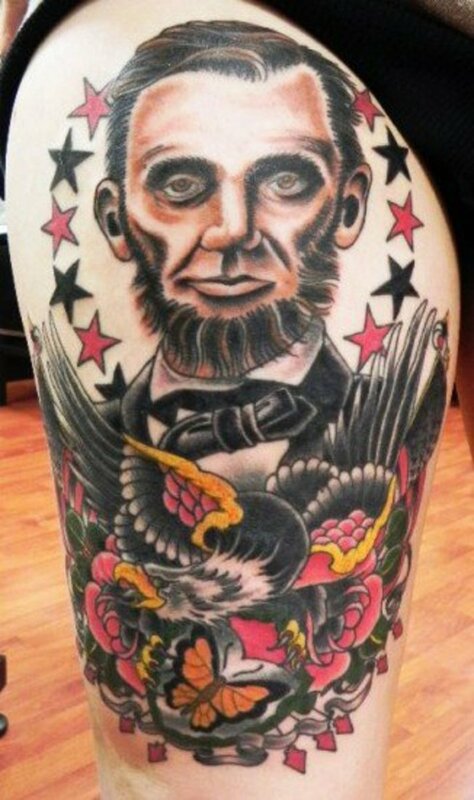 This famous photograph of Lincoln taken by Mathew Brady was tattooed by Lisa Hower. 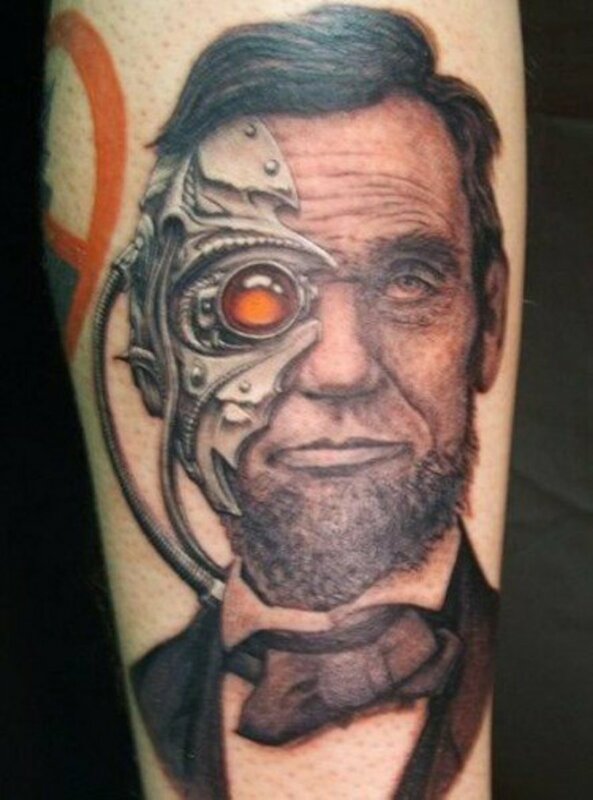 This tattoo envisions Lincoln coming back as a cyborg. 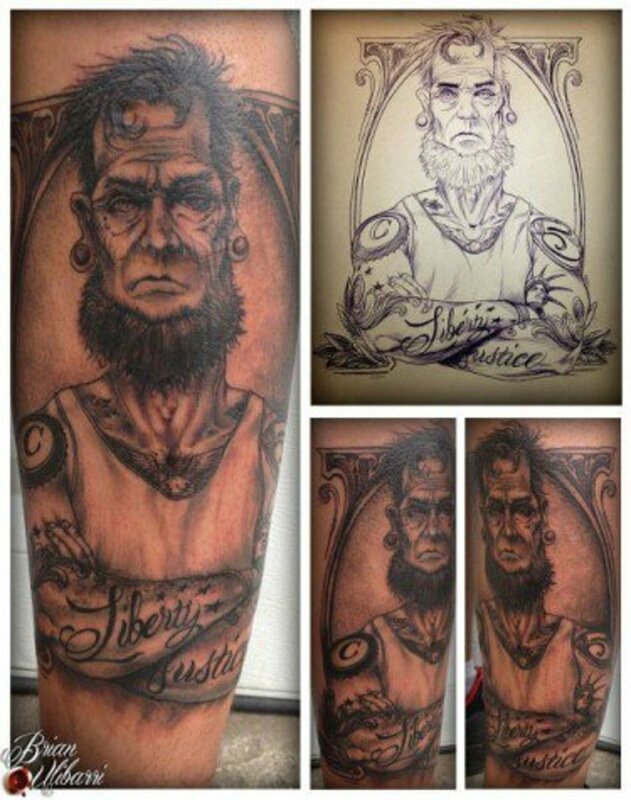 Godfrey Atlantis tattooed this portrait of Lincoln with crossed axes behind him. 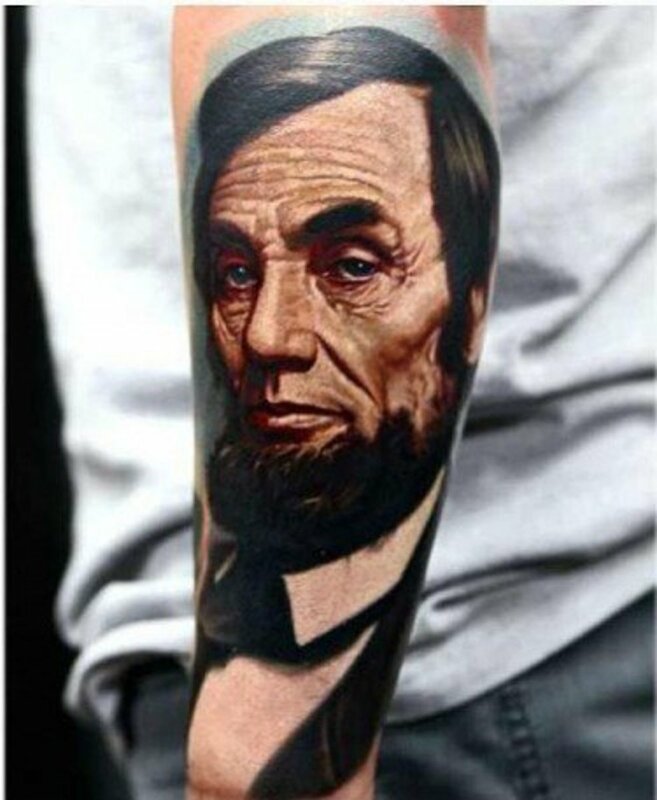 This portrait of a troubled looking Lincoln was tattooed by Phil Colvin. 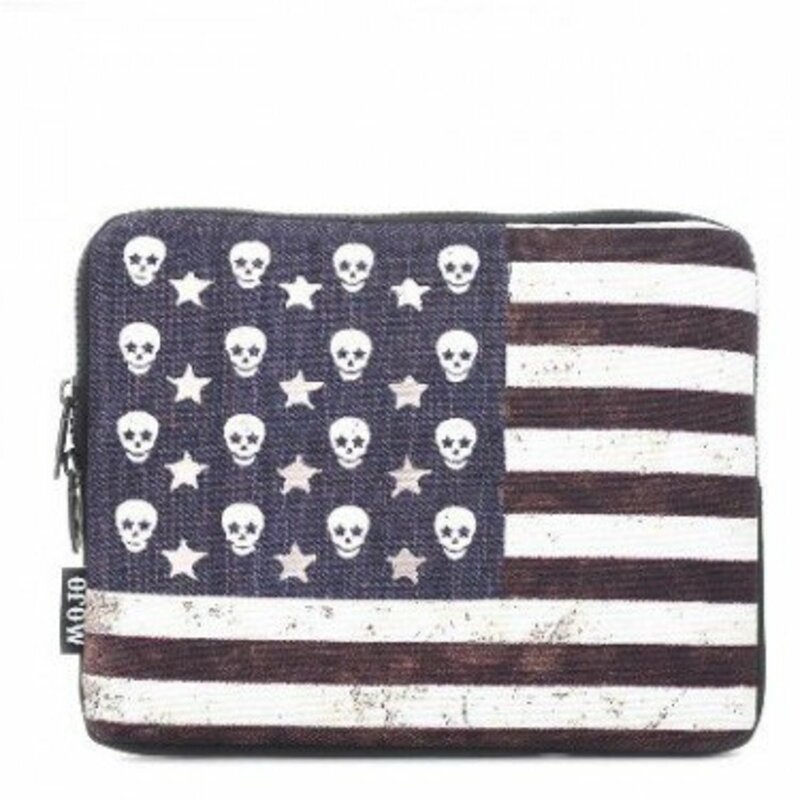 This Skull Flag iPad Case by Mojo Backpacks offers a bit of a different take on the American flag. 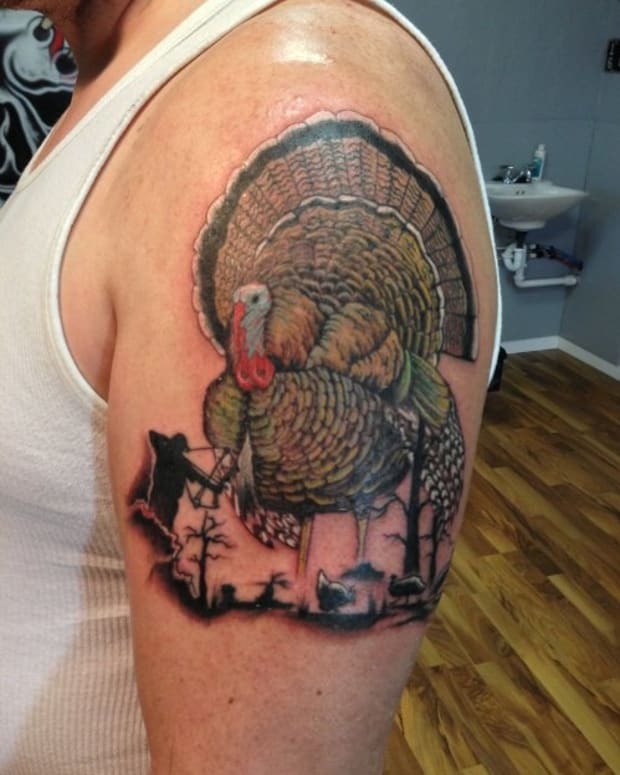 This design of Lincoln with an eagle was done by Justin Boyle. 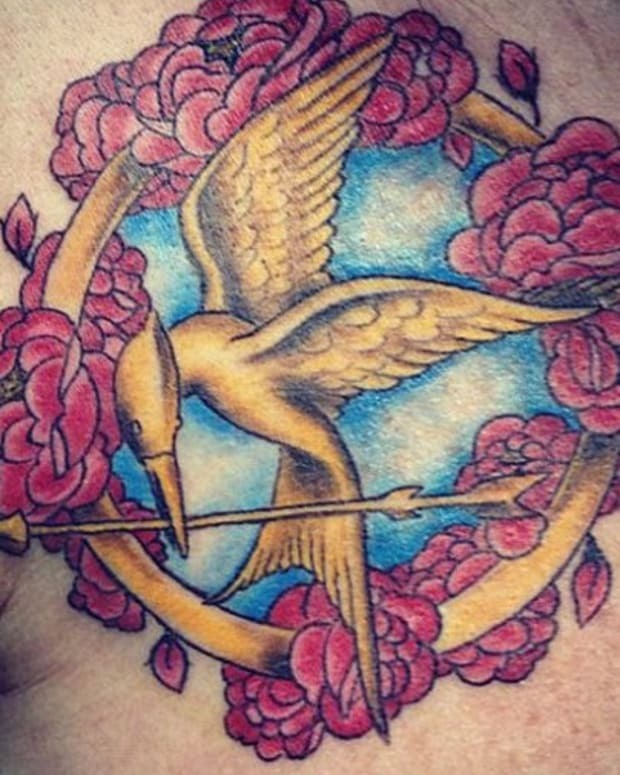 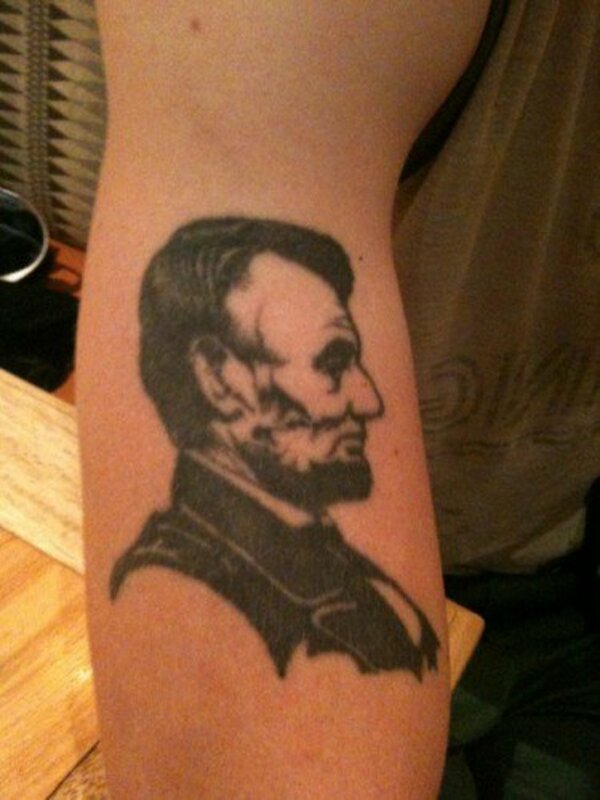 This tattoo gives life to the weariness that Lincoln experienced as president. 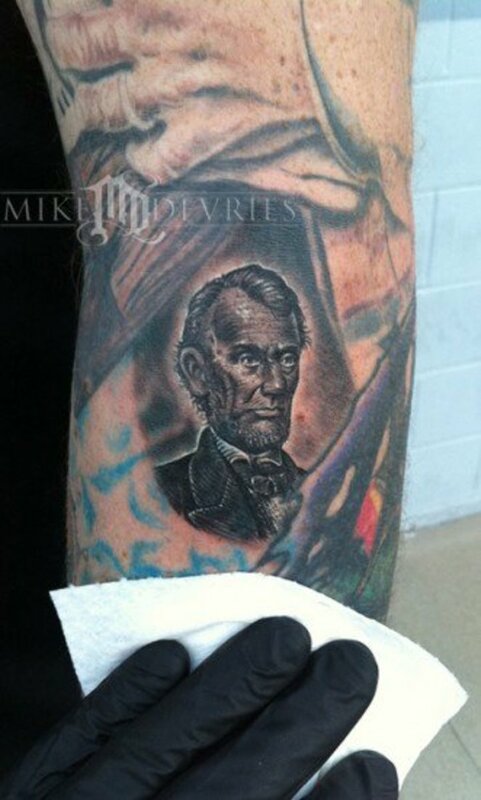 Mike Devries tattooed this image of Lincoln made famous from being on the five dollar bill. 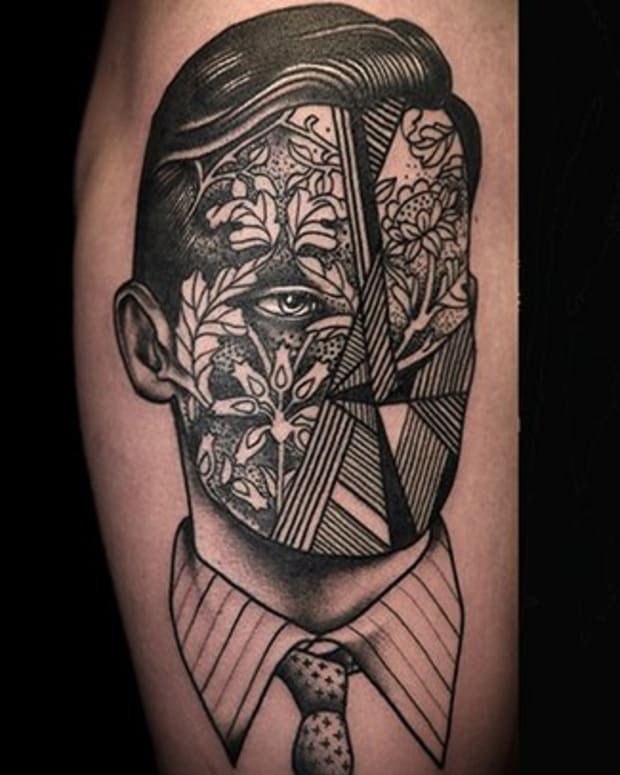 This tattoo shows Lincoln during his days as a lawyer in Illinois. 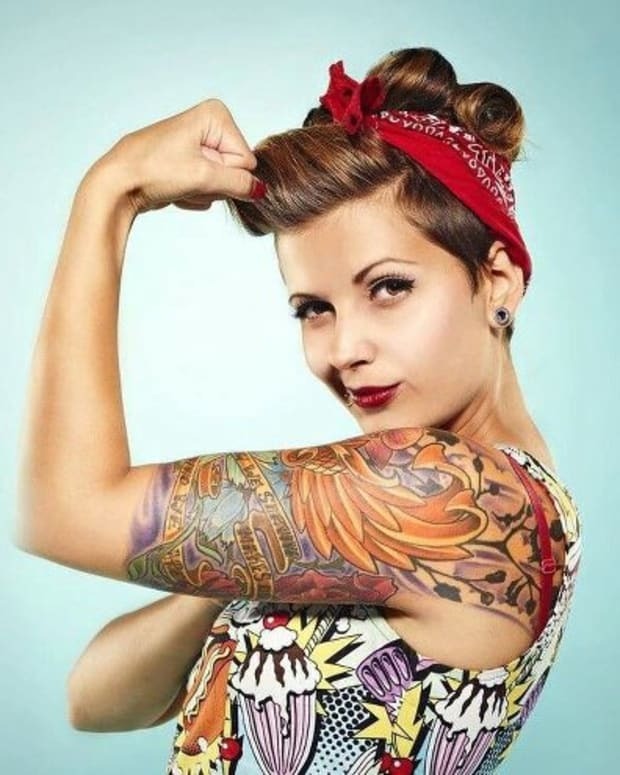 Feel free to pledge allegiance to this Women&apos;s American Lips Tank by 2K2BT. 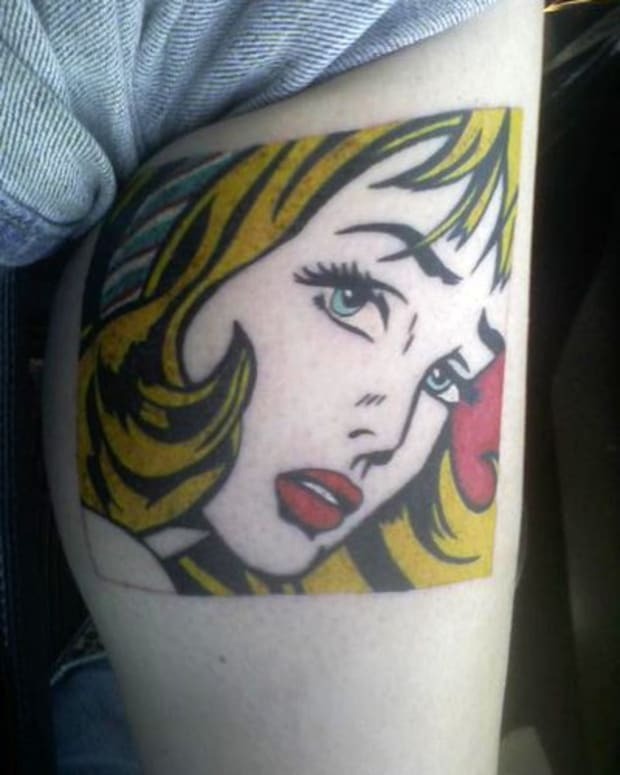 Available at INKEDSHOP.COM: Women&apos;s American Lips Tank by 2K2BT. 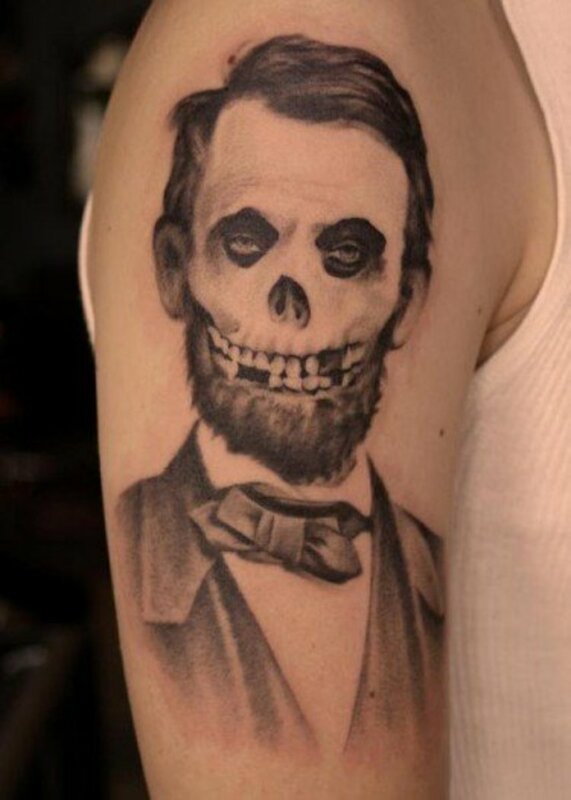 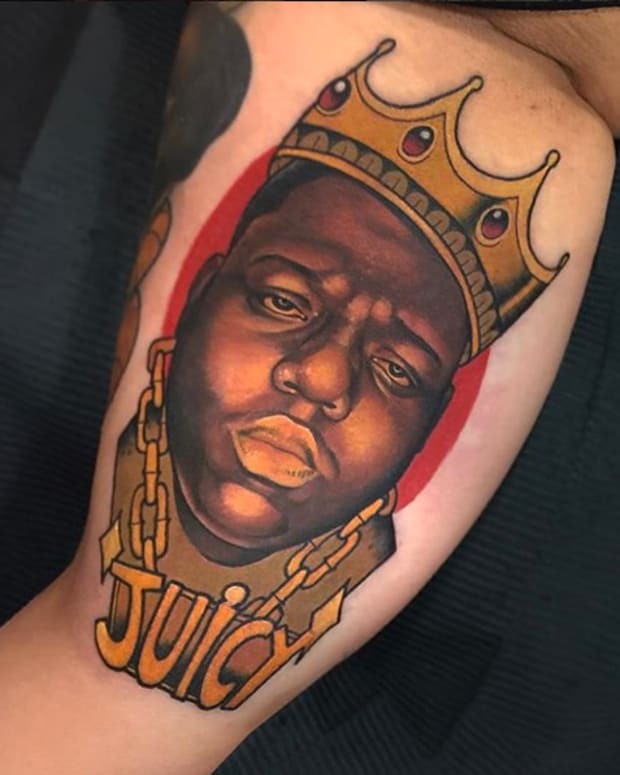 This tattoo combines our most famous president with one of our most famous punk bands, the Misfits. 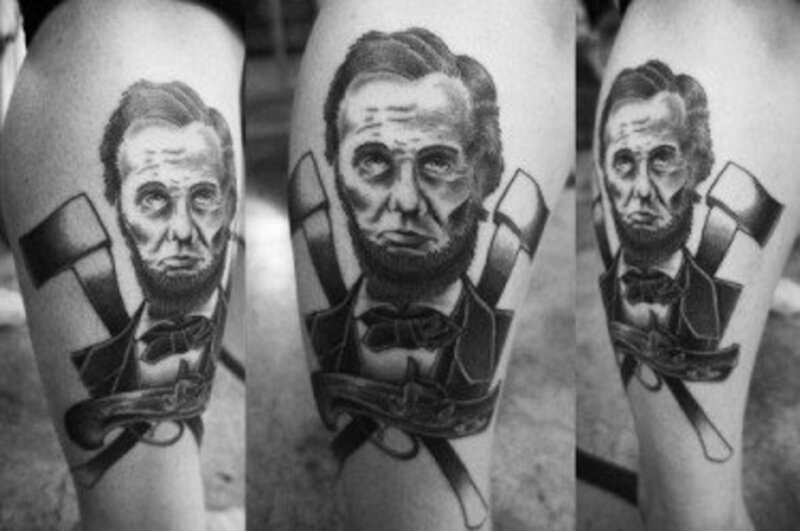 Brian Ulibarri imagines Lincoln as a tattooed tough in this piece. 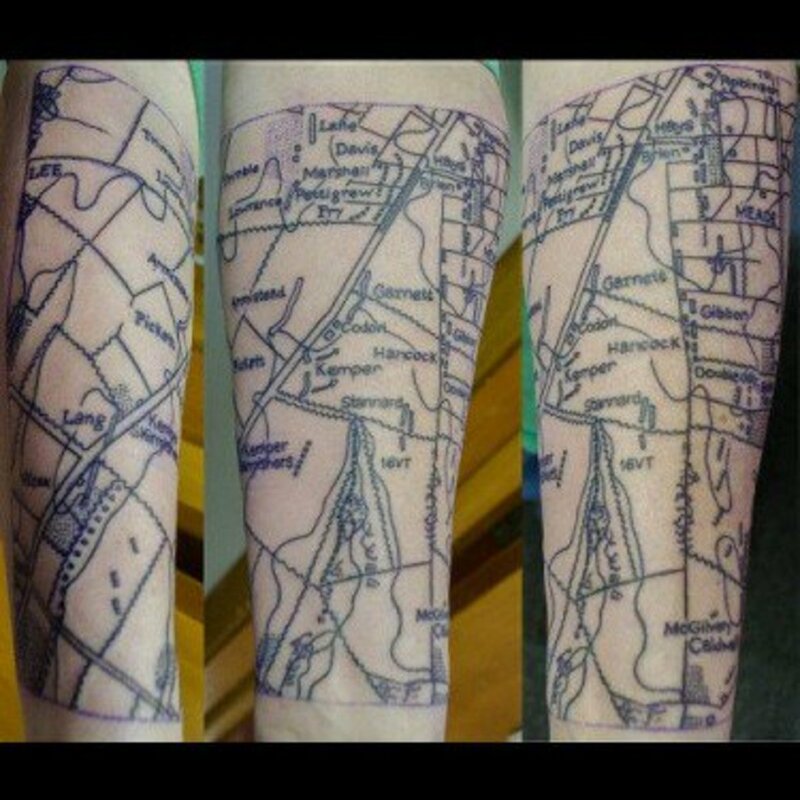 While not a tattoo of Lincoln this piece showing the battleground at Gettysburg warrants inclusion. 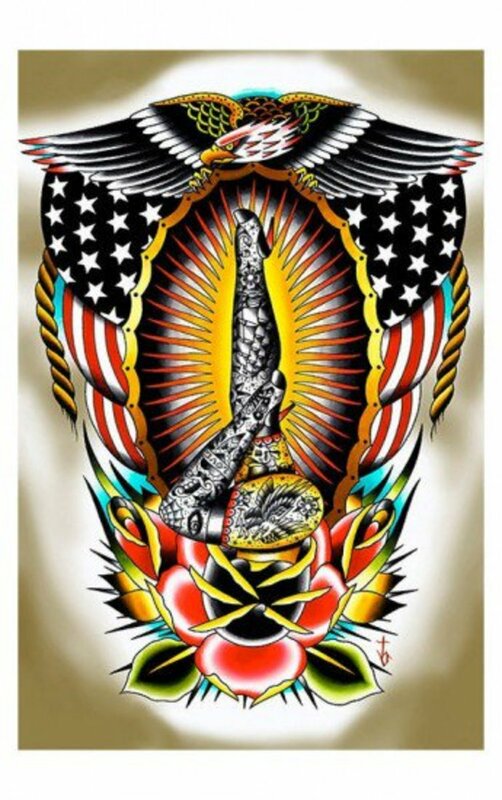 Showcase your love of tattoos and country with this American Legs Print by Black Market Art.